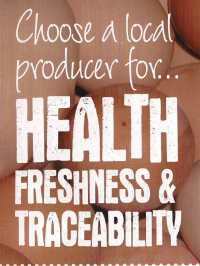 All of the eggs produced at Great Hookley Farm carry the Laid in Britain quality assurance. Laid in Britain is formed from a consortium of independent egg producers, and offers the highest standards of food safety and bird welfare. From the 1st January 2012, the European Union (EU) banned the housing of laying hens in conventional cages. All conditions at Great Hookley Farm conform to these standards. Carrying the Laid in Britain stamp means that independent producers, like Great Hookley Farm who market locally and regionally, have easily followed traceability trails, with chicks sourced from accredited sources only. Feed is sourced only from organisation which have been audited, or, if home mixing, are monitored on a regular basis. Laid in Britain eggs have a maximum best before date of no more than 28 days from laying.